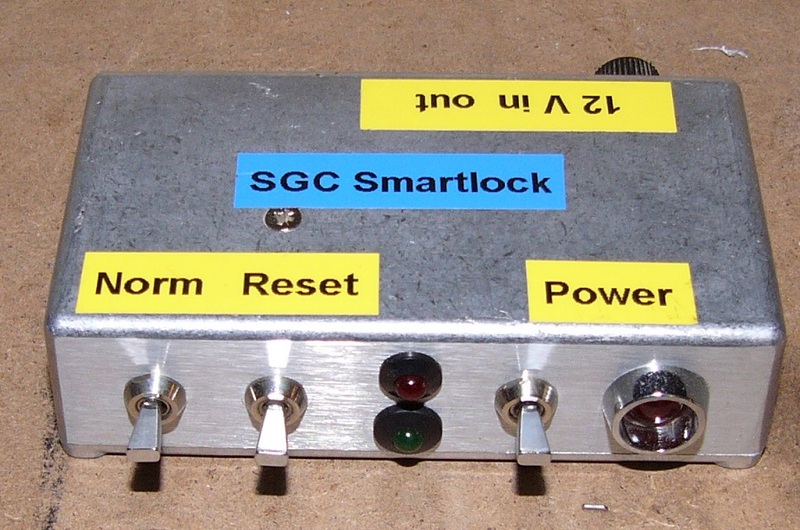 The Smartlock is an accessory for my SGC SG-239 HF Smartuner, and other ATUs they make. It can be bought ready made or built. 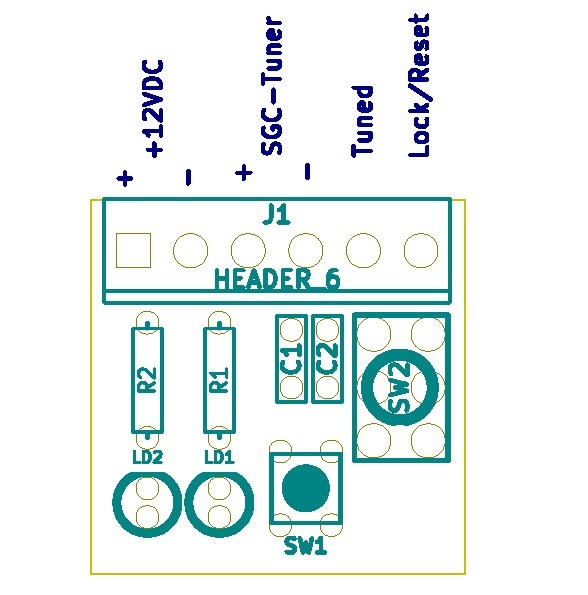 There are indicator LEDs that signal status (TND, l ‘Z’, 2:1, PHZ, FWD, Auto & Man) on the lower section of the PCB of the SG-239 but they are only visible near the unit. As they recommend mounting the unit in a weatherproof container and as close to the feed point as possible, it’s unlikely these will be useable except in testing and servicing. L ‘Z’ This LED shows the status of the antenna impedance. When lit, the impedance is 50 ohms or less. When off, the impedance is greater than 50 ohms. 2:1 This LED will light when the VSWR is greater than 2:1. It will extinguish when VSWR is less than 2:1. PHZ This LED indicates the status of the antenna reactance. When lit, reactance is inductive. When off, reactance is capacitive. 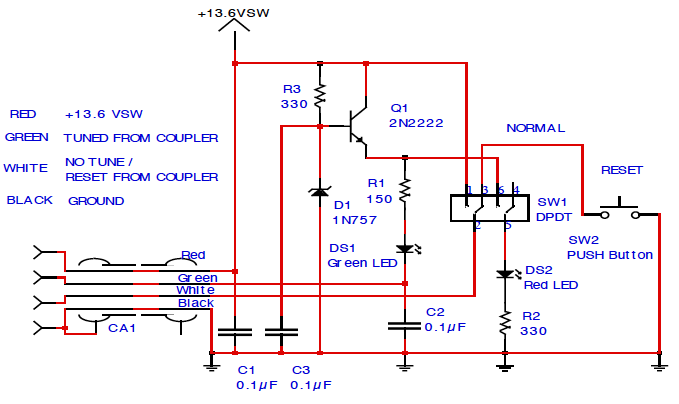 FWD This LED indicates the presence or lack of RF power from the radio. 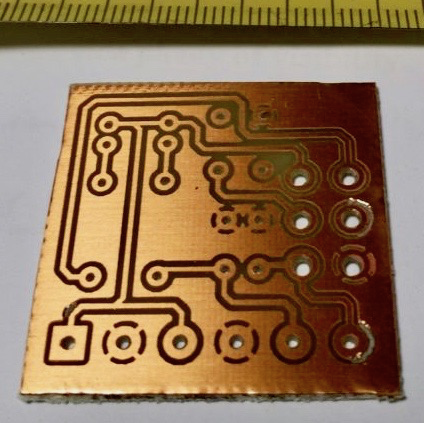 When transmitting, the LED will light to indicate RF is being detected. In receive, the LED should be extinguished. 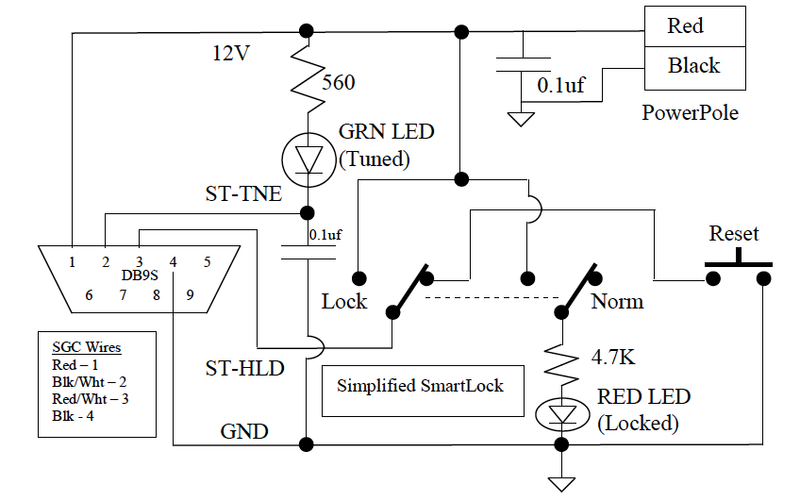 OTHER All LEDs will blink on and off at a rate of 2Hz to indicate the tuner was not able to find a valid match. The LEDs are very small and quite faint and almost impossible to see on a sunny day. As the ad below indicates the Smartlock provides two controls that can be used remotely from the tuner and close by the radio – allowing the operator to lock or stop the ATU constantly retuning as the load changes and to reset which forces a retune the next time a signal is transmitted. 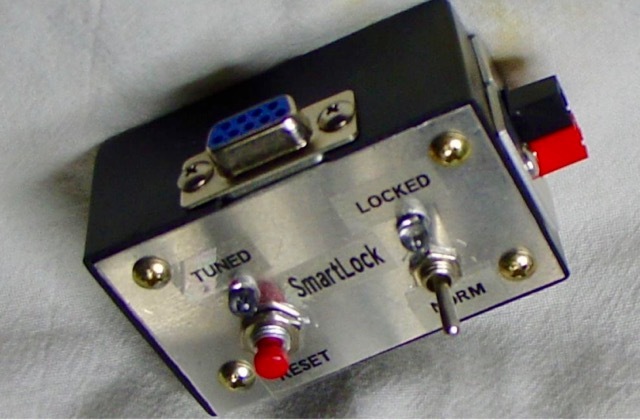 The Smartlock also indicates if the ATU managed to tune the antenna and if the lock is on. 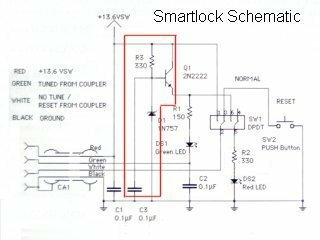 The lock can be invoked when the antenna is to be used for receive or when there are too frequent changes in the physical environment of the antenna such as when mobile and passing trucks or going under bridges…. Installation requires normal coax and a four conductor cable for power and control. 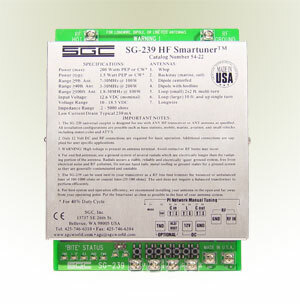 The SmartLock provides two external controls for the SG-230/237/239 Smartuner. The locking function prevents retuning despite changing antenna loads. The reset function forces the coupler into a retune cycle the next time a signal is transmitted. Tune and lock status is indicated by one green and one red blinking LED. Supplied with 9 feet (2.5 metres) connecting cable. For use with SG-230/237/239 couplers manufactured after July 1, 1993, only. Its simplicity and the cost of the assembled unit have inspired a number of people to roll their own. Phil Salas – AD5X – decided to remove the components making up the voltage regulator part of the circuit. This uses a tiny PCB available on Italian eBay from a seller who wanted 50 € to send one to Australia! 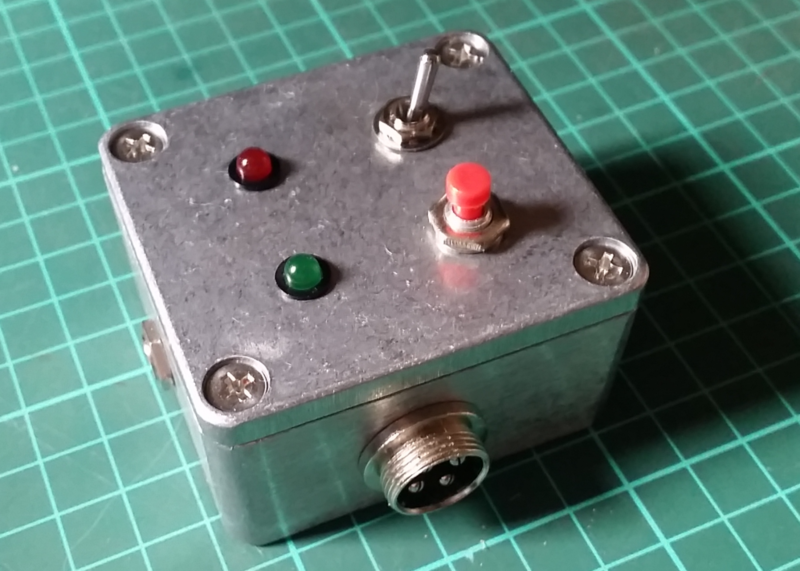 Luca used the simplified circuit by Hans Nussbaum DJ1UGA which appears to have in turn have some subsequent input from OE7OPJ (who by the way has a very interesting website at http://www.qth.at/oe7opj/). 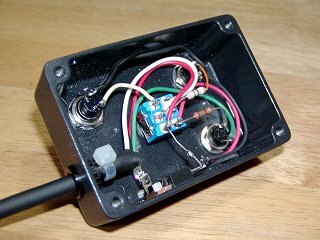 This circuit can also be seen at http://www.qth.at/oe7opj/homemade-smartuner-lock.htm. 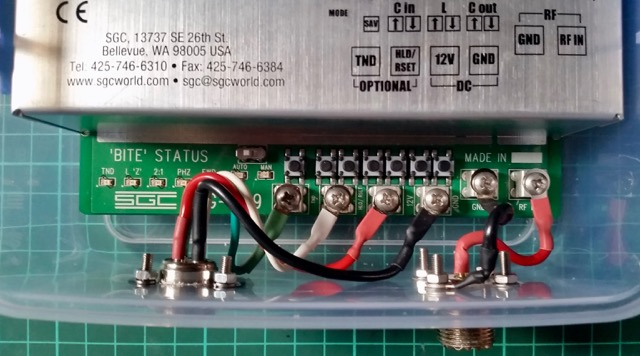 The SGC-239 automatic tuner is undoubtedly a very nice tool. 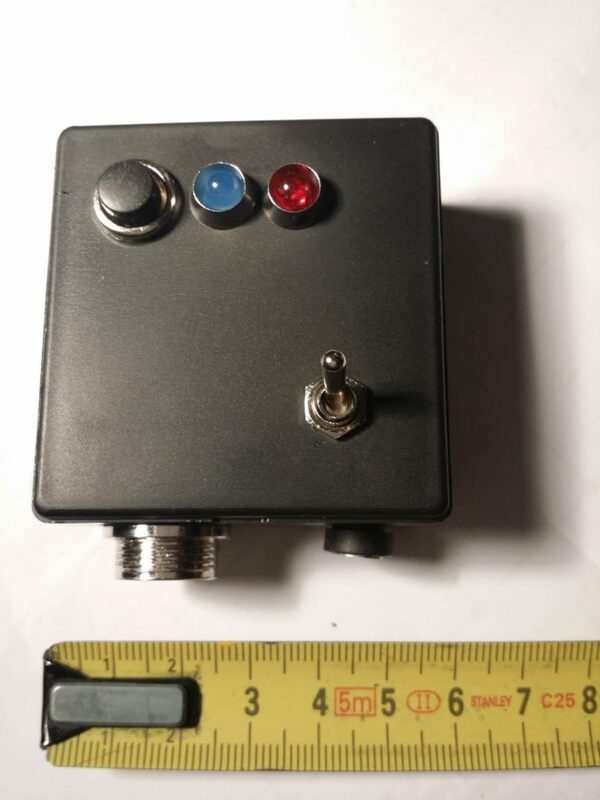 It connects and works well with any radio (HF) simply by using a coaxial cable, and a power source to 12 volts. It is not particularly power hungry and even practical to use on a routine SOTA outing. I found one used on the usual national channels at a decent price. It really suits around handling power output from 1.5 to 200 watts. Great for my Yaesu 817, but just as useful for “normal” radio equipped with 100 watt “cannons”. I plan to use this wiring arrangement for the 4 pin plugs, socket and line. 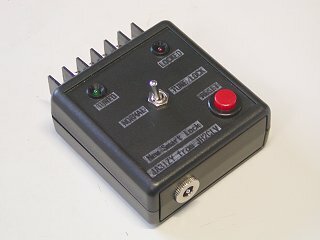 As well Philip Storr VK5SRP describes his version at http://www.philipstorr.id.au/radio/seven/accessories.htm. 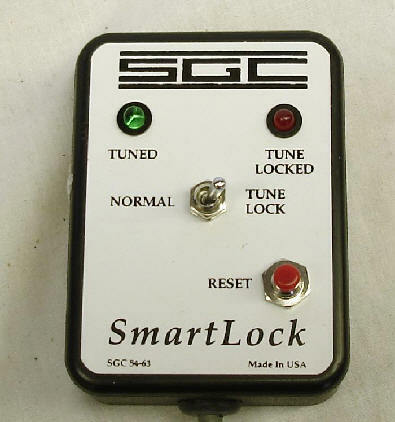 In the hand book to the SGC SG237 Auto Antenna Tuner there is a circuit for an interface they call the SmartLock and it allows some manual control over the AATU and more importantly, it indicates when the tuner has tuned successfully. JH2CLV has documented his build. These photos (from http://www5a.biglobe.ne.jp/~jh2clv/newsmartlockmaking.htm) give an idea of the layout which uses an external “chocolate block” connector for the 4 core power and control cable. Case used is a plastic case – HA1593-KB of TAKACHI. The main parts are as follows. The shielded 4 core wire is clamped in the cable tie through a pull through bushing. The case uses a diecast aluminum box TD 5-8-3B (55x30x80) by TAKACHI. 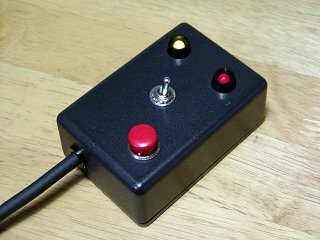 The front of the enclosure has the Normal / Lock switch (2-pole, double-throw), the Tuned LED (Green), the Locked LED (Red) and the Reset switch (Make contact). 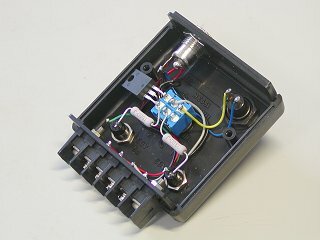 It includes the three-terminal regulator. The bypass capacitors on the circuit diagram are omitted here. Once tuning is complete the Tuned LED (Green) glows. If the Normal / Lock switch is pointing to the right, the Lock side, the Lock LED (Red) is lit and fluctuating SWR, etc. does not cause automatic re-tuning. 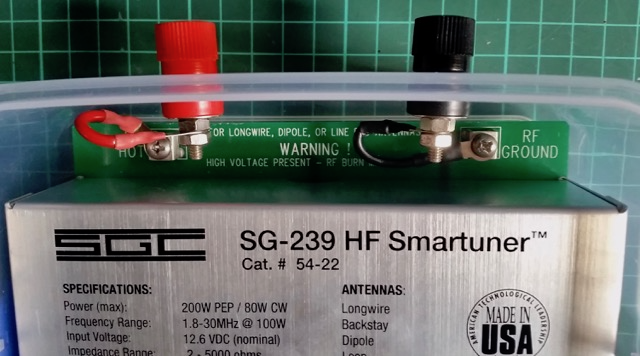 If the switch is set to the Normal side, normal operating conditions prevail, the SG-239 will automatically start tuning if SWR or the band is changed. If you press the RESET (red) button, the ATU will re-tune. 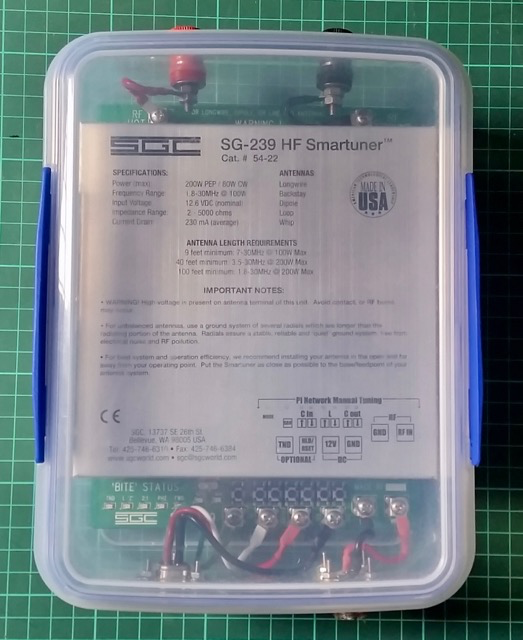 Also check http://g3ynh.info/atu/sgc230.html for detailed description of using the Smartuner with a balanced antenna. I used the simplified circuit by Hans Nussbaum DJ1UGA and the front panel layout of Phil Salas AD5X. I managed to squeeze everything into a compact package – a small die cast aluminium enclosure 64 x 58 x 35mm which Jaycar sell for $9.95. And that was the main cost. Everything else was on hand. I’ve yet to label the panel, but the green LED indicates a successful tune, the red LED is on when the switch is in the Locked position, and the push button switch is the reset. I used 4 pin sockets and line plugs to connect to and power the Smartuner. And I used a DC socket to supply 12V power. I had planned to use power poles but decided that would not fit comfortably in this small enclosure. The ATU is housed in a plastic lunchbox which can be protected by a larger rubber waste paper bin as recommended in the SGC manual.